Martyrs' Day is an Eritrean public holiday celebrated on June 20 each year. It honors those who gave their lives during the Eritrean War of Independence that lasted for thirty years. The territory of Eritrea became an Italian colony in 1890. After the Second World War, Eritrea became a British protectorate. When the British left in 1951, the United Nations decided to federate it to Ethiopia. In the early 1960s, Ethiopian Emperor Haile Selassie dissolved the federation and annexed Eritrea, triggering the Eritrean independence struggle. The main independence movement was the Eritrean Liberation Front. The war continued even when Haile Selassie was overthrown during a coup, because the new regime was determined to keep control over Eritrea. The war ended in 1991, when Ethiopia finally agreed to recognize the right of the Eritreans to hold an independence referendum. 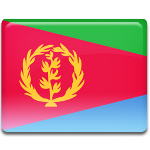 Eritrea became a fully independent state in 1993. Martyrs' Day was established to honor the memory of about 60,000 freedom fighters and 90,000 civilians killed during the war. It is marked with mass mourning processions held throughout the country. The main remembrance ceremony is held at the National Martyrs' Park located in Asmara, the capital city of Eritrea.